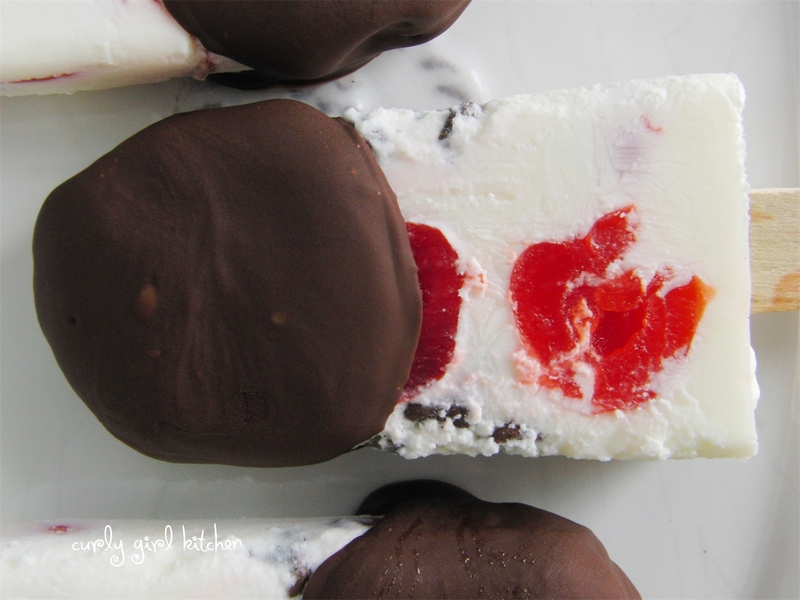 Cream pops are a more indulgent treat than popsicles. Not quite ice cream, but not quite a popsicle, their creamy texture is smooth and luxurious. 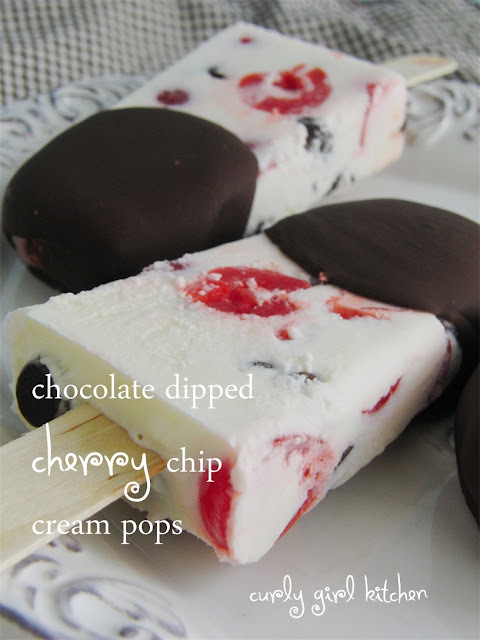 Chocolate, cherries and cream are the only ingredients in these beauties. Note: I haven't included amounts in this recipe, because they're simply not needed. 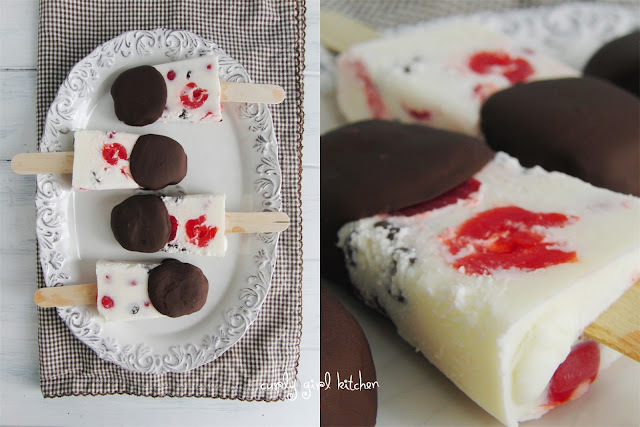 You can make as few or as many popsicles as you'd like. 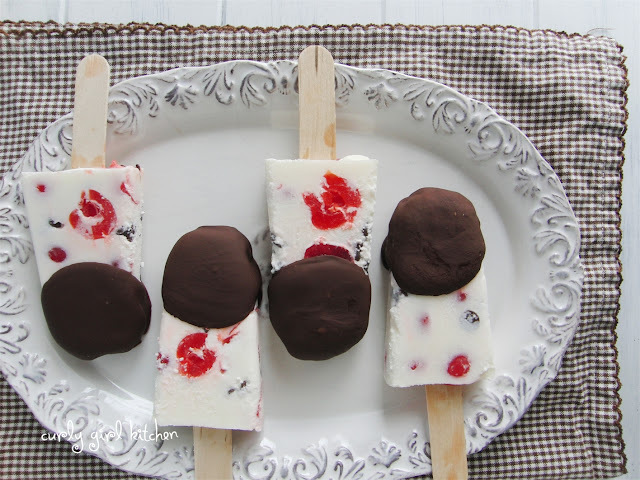 For each popsicle, plan on about 10 chocolate chips and 4 cherries (8 halves), with approximately 1/4 cup cream. Set out your popsicle molds. Insert a popsicle stick into each. 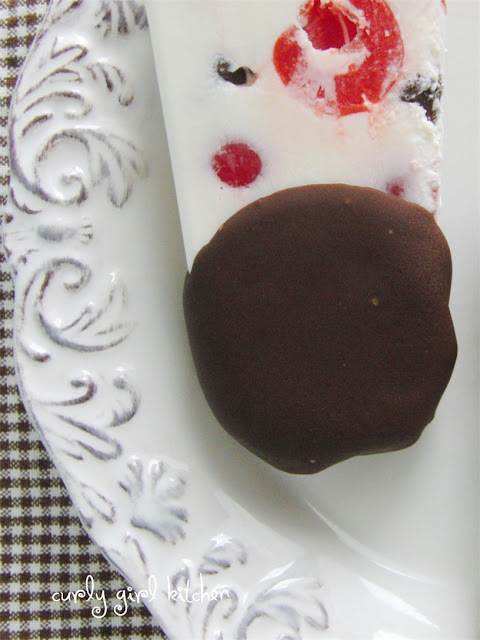 Drop in the cherries and chocolate chips, positioning them so they hold the stick in place in the center of the mold. Slowly pour in the cream and tap the molds against the counter to release any bubbles. Freeze until solid. To unmold, run under lukewarm water for a few seconds until you're able to wiggle the popsicles out. If desired, dip them into melted chocolate, then return them to the freezer to set up the chocolate.